" ... Belgravia and glory". Dated in pencil at foot of sheet: 1855. Westerton and victory - first line reads: Have you heard of the rumpus there was I declare. 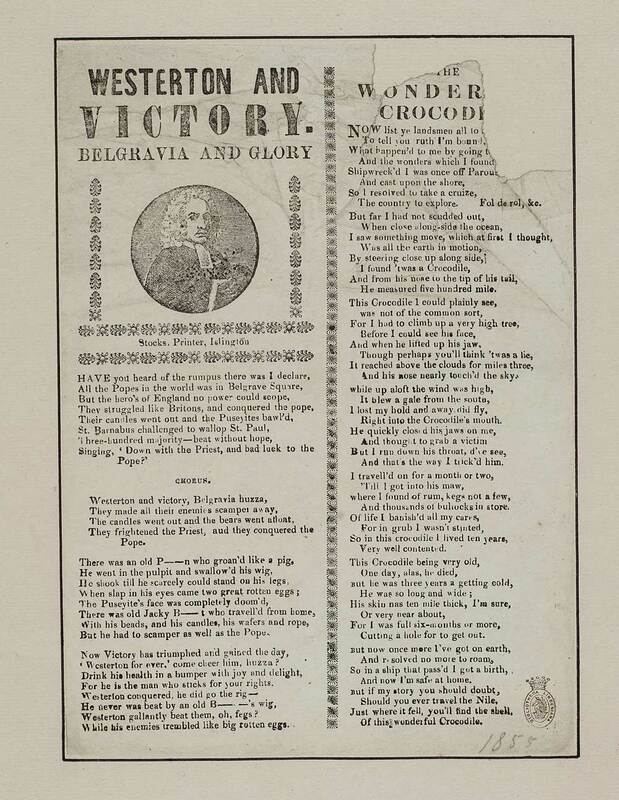 The wonderful crocodile - first line reads: Now list ye landsmen all to me.